First of all, HAPPY NEW YEAR !!! I wish everyone a wonderful HJ this year, as well as all other endeavors you take in 2011. I love that my hair is fuller now. The main reason that I went natural is to have thicker hair. I love that my hair becomes thicker each month that passes. 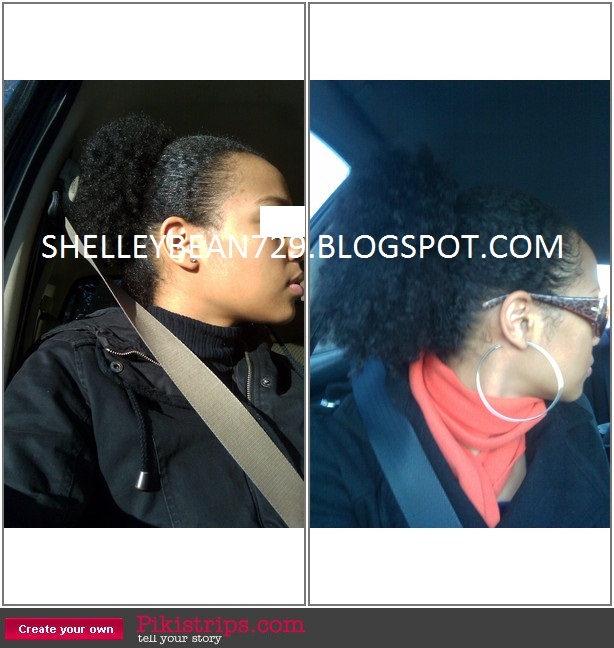 Although I loved my relaxed hair, I always had a 50/50 experience with it. Sometimes I'd have a great service done, other times my hair was overprocessed. I just like that I don't have to worry about that overprocessing anymore. I used to think of texlaxing, but I'm too in love with my afro to do that right now. Rollersets and flat ironing seem to work for me the days I want to be straight, I don't think I need a chemical. Even if they didn't work, I love wigs and they DEFINITELY give me the straight look if I ever feel I miss it. I think I will do a rollerset for my next blog post since I tried it for the first time in January of last year also. Thank you for reading ladies and gents !!! Wow... look at that puff. Gorgeous!!! I can't wait until mine gets there. Just found your blog. will definately follow it as you have the same kind of hair as I do. Im looking forward to that 28 th december photo that you write about in earlier blogs. Have you ever tried brazilian blow out? I am really curious to try it out but it is so expensive. Love the blog and the progress videos. I just started my journey on going natural beginning in December. Thanks for the inspiration. Thank you for the comments ladies !!! Mylinda I'll do an updated puff video for you girl !! Lisa, I just did an update although it was late. I finally flat ironed my hair and made a post on here about it ! wow your puff is AMAZING! The Game Returns Tonight !! !